Hello I’m Katie, or if we want to be formal… Nuthouse Some Like it Hot. 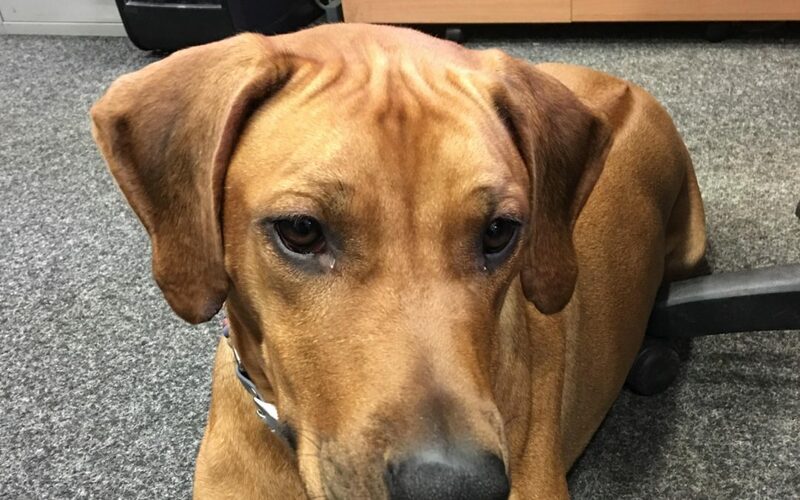 I can be found relaxing most days in the Parish Council Office keeping my human company whilst she addresses most important village business. Other times I’m out walking some of the 27 miles of footpaths that we have in Sarratt. When I’m not doing my very important Parish Council work I can be found doing my other job as a show girl. 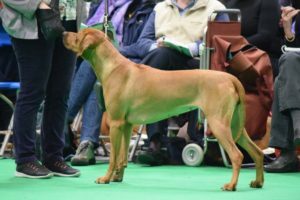 This year’s season kicked off with Crufts in March. It was my first time at Crufts so I was a little nervous but I came 6th in my class. I didn’t come home with a rosette this time but my Great Auntie Dolly came 2nd in her class so we did have a small celebration on the long ride home. 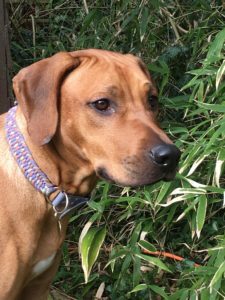 I’m a very friendly Ridgeback and I love meeting other doggy friends on walks and enjoy having a good run around in the fields. I can be a little bouncy because I forget I’m so big but I’m trying to learn to behave myself. I really can recommend the walks on the Sarratt footpaths whatever the weather! Katie. X oh I nearly forgot….Save the date! 10th June Sarratt Dog show & Village Day!